Double or triple this roasted pumpkin seed recipe, depending on how many cups of seeds you have. One large pumpkin will generally yield 1 cup or pumpkin seeds, and smaller pie pumpkins will yield about the same amount. Toss a salad with these seeds, sprinkle over a chicken dish, or serve as a snack. 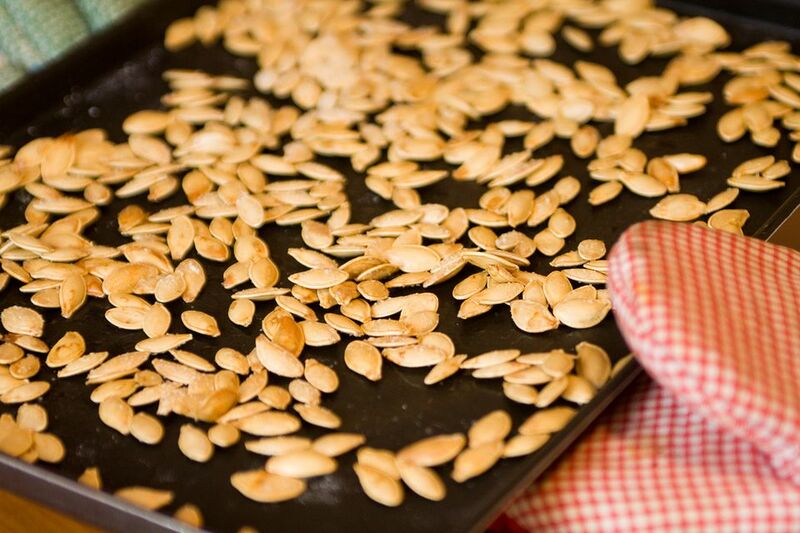 Toss pumpkin seeds with seasonings. Combine butter and Worcestershire sauce; stir into seeds until well blended and coated. Heat oven to 300°. Roast, turning from time to time, for about 45 to 60 minutes, or until nicely browned and crunchy.